Two key surrogates for President Donald Trump on Sunday sought to discredit a Republican lawyer who served in the White House until six months ago: Don McGahn, the former White House counsel who, per a New York Times tally, was cited more than anyone else in special counsel Robert Mueller’s redacted final report. 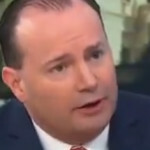 Sen. Mike Lee (R-UT) on Sunday compared special counsel Robert Mueller’s explanation of not recommending obstruction of justice charges against President Donald Trump to the comically roundabout legalese used by Pinocchio in the third “Shrek” movie. The senator also falsely said Mueller hadn’t presented any evidence to back up a potential obstruction violation. 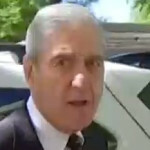 Special counsel Robert Mueller muttered a “no comment” to an MSNBC reporter Sunday in response to questions about the release of his redacted final report. 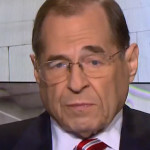 House Judiciary Committee Chairman Jerry Nadler (D-NY) on Sunday said that “if proven,” the contents of special counsel Robert Mueller’s redacted final report are impeachable. 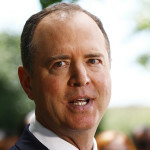 Despite characterizing the actions of the 2016 Trump campaign and President Donald Trump’s subsequent actions as “far more serious than Watergate,” House Intelligence Committee Chairman Adam Schiff (D-CA) was non-committal Sunday on the question of impeachment. 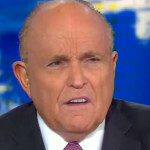 President Donald Trump’s lawyer Rudy Giuliani on Sunday defended the Trump campaign’s attempts to accept foreign help during the 2016 election. Included in special counsel Robert Mueller’s redacted final report released Thursday were President Donald Trump’s written responses to questions from Mueller’s office. 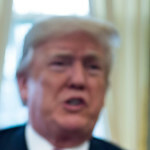 Following the reception of the of the written answers, Mueller wrote in a note included in his report, “we informed counsel of the insufficiency of those responses in several respects,” among them, the number of times (30) that the President said he did not recall or remember or an answer. 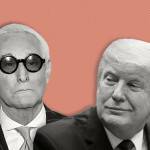 Mueller ultimately decided it was not worth subpoenaing Trump for his testimony, even though “We viewed the written answers to be inadequate.” At that point, Mueller wrote, “our investigation had made significant progress and had produced substantial evidence for our report.” The cost of a subpoena, including the inevitable lengthy litigation over it, was decided to be not worth it. So, this is all we have from Trump. Below, we’ve spliced the document up so you can see Trump’s answers directly below Mueller’s questions. We’ve marked the end of each complete answer with a row of asterisks. 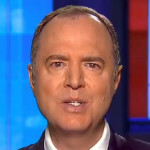 House Intelligence Committee Chairman Adam Schiff (D-CA) said Thursday that Congress “will need to consider” whether President Donald Trump obstructed justice in light of the release of special counsel Robert Mueller’s redacted final report. 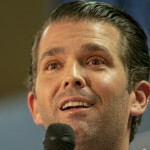 After agreeing to meet with Russians connected to the Russian government, and who he believed were bringing dirt on Hillary Clinton, Donald Trump Jr. asked a Russian lawyer at the meeting itself if she could provide information to connect Clinton to illegal campaign donations — further evidence outlined in special counsel Robert Mueller’s redacted final report released Thursday that Trump Jr. sought foreign help in the 2016 campaign. 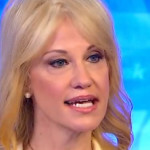 The un-redacted portions of the Mueller report on the Trump campaign’s Wikileaks outreach paint a picture of a campaign with foreknowledge about the release of emails stolen from Hillary Clinton Campaign Chairman John Podesta.